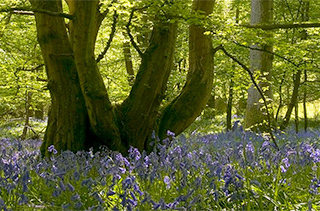 Sussex Wildlife Trust is committed to giving a high quality service. Despite this commitment sometimes things will go wrong. When this happens we want to know about it, and to put things right where we can. If you have a complaint or positive suggestion, do please tell us about it and help us to help you. Contact the person who provided the service. We hope to sort out most problems informally and on the spot. If you are not sure who to contact, you can see a list of key contacts for the Trust in our 'Get in Touch' page or you can use our contact form below. If you are not satisfied with our initial reply, please put your complaint formally in writing. Address it to the Chief Executive and he will investigate the issue thoroughly and will reply to you within one month. If you are still not satisfied with the outcome, you can contact the Trust’s Honorary Secretary whose name and address will be given at Step 2. Please use this form to send us any specific feedback or to log a complaint if you do not know who to address it to. If you are still not satisfied and feel that the Sussex Wildlife Trust has not resolved the issue satisfactorily, you may wish to refer your complaint to the Charity Commission.